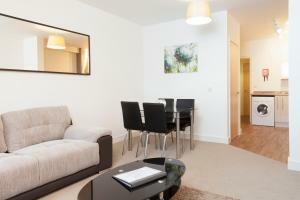 The apartment is very enjoyable, well equipped, welle situated in Chelenham. Size of apartment. Clean, had everything we needed. As per advertised. The cleanliness of the apartment and all the modern conveniences. Also the proximity to the town centre and High Street stores was very convenient. 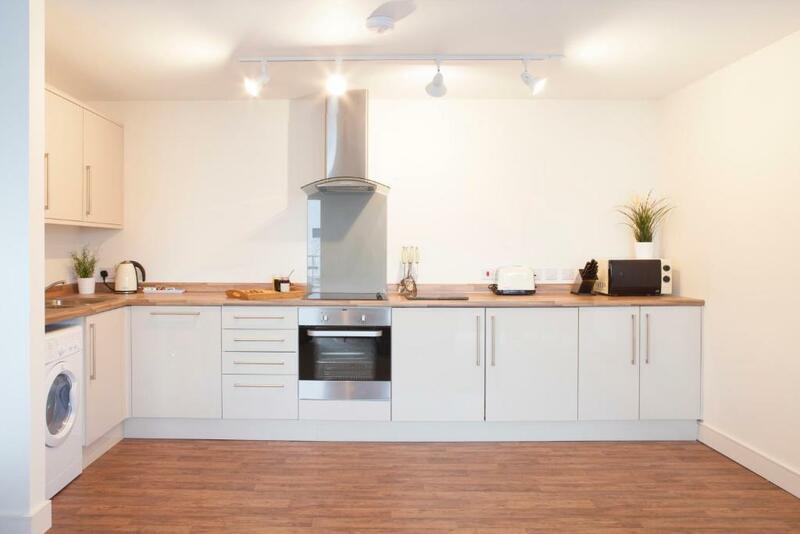 The apartment was really nice, modern and very large for a 1 bedroom apartment, nice balcony, well equipped kitchen, great location in the centre of Cheltenham. Couldn't really fault it apart from the fact it backed onto Marks and Spencer's loading yard..... a bit noisy early morning with lorries reversing into the yard if you had the windows open but not too bad with windows closed. Flexibility to allow us to use the parking garage prior to check in. Left a passport behind , staff were helpful in us getting back for us. It was a lovely, clean, tidy and had all the facilities that was needed. Clean, comfortable excellent facilities for car parking. Excellent location for town centre. Great communication with owners. Wish I had known about this place before! We would definitely stay here again. 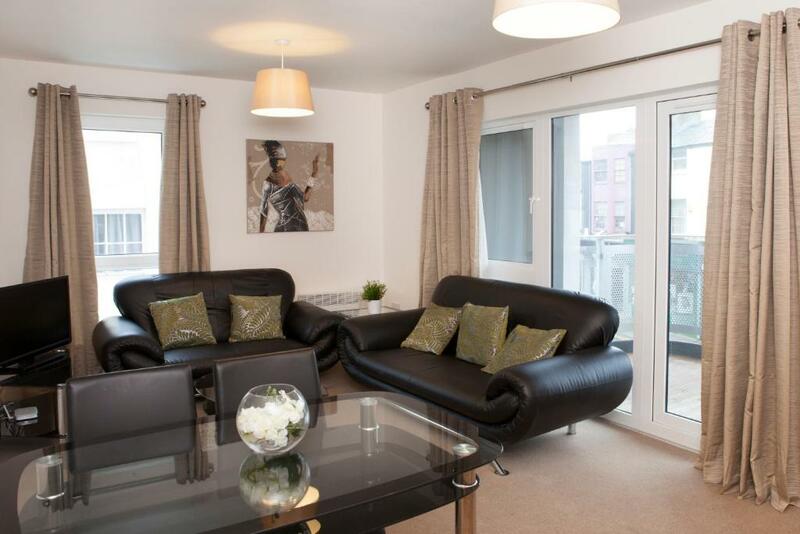 Lock in a great price for The Coliseum Apartments – rated 8.5 by recent guests! The Coliseum Apartments This rating is a reflection of how the property compares to the industry standard when it comes to price, facilities and services available. It's based on a self-evaluation by the property. Use this rating to help choose your stay! One of our top picks in Cheltenham.In the center of Cheltenham, The Coliseum offers contemporary apartments in this attractive Gloucestershire spa town. 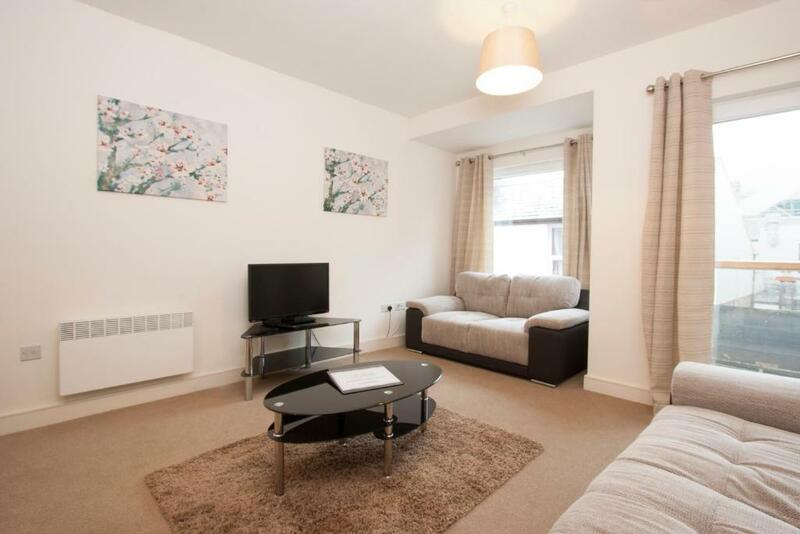 These stylishly furnished apartments provide free Wi-Fi access. 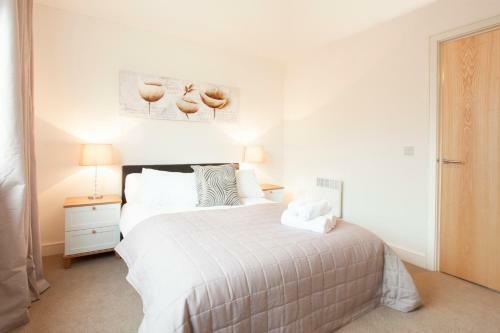 Each apartment has 1 or 2 bedrooms, complemented by a modern bathroom with bath or shower. There is a dining area and lounge, with a 32-inch flat-screen TV and DVD player. 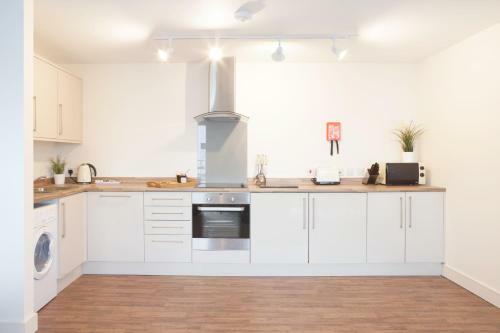 A fully equipped kitchen includes an oven, microwave, fridge and dishwasher, with kitchenware provided. The Coliseum is just a 3-minute walk from the Beechwood Shopping Center, with numerous restaurants in the local area. Cheltenham Art Gallery and Museum, and The Playhouse and Everyman theaters, are among the attractions within 15 minutes’ walk of these apartments. Low cost access to a local gym and pool is also offered on request. 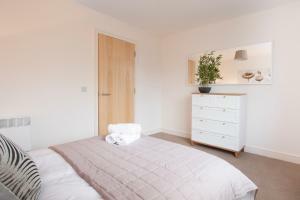 뀐 Located in the top-rated area in Cheltenham, this property has an excellent location score of 8.7! When would you like to stay at The Coliseum Apartments? This apartment has a modern bathroom, dining area and lounge, with a 32-inch flat-screen TV and DVD player. This apartment has two double bedrooms, a modern bathroom, dining area and lounge, with a 32-inch flat-screen TV and DVD player. The apartment's kitchen has a fridge, a microwave, a dishwasher and an oven. On request and for an extra charge, guests have access to a local gym and swimming pool. Please note there are only a limited number of parking spaces available on site and are sold on a first reserved basis. Please note we are unable to accept group bookings of more than 12 guests. This is a residential building and visitors must be kept to a minimum (no parties). The buildings are monitored regularly. There is not a reception on site and you will be sent key collection instructions via email. House Rules The Coliseum Apartments takes special requests – add in the next step! All children under 12 years are charged GBP 18 per night for extra beds. The Coliseum Apartments accepts these cards and reserves the right to temporarily hold an amount prior to arrival. Please note that parking is limited and needs to be reserved prior to arrival to guarantee a space. Please note, this property has a maximum of 12 people per group booking. Please note linens cannot be supplied for a travel cot. Please inform The Coliseum Apartments of your expected arrival time in advance. You can use the Special Requests box when booking, or contact the property directly using the contact details in your confirmation. The beds were not fully what I expected, however, they are ok for a few nights stay. We enjoyed the convenience of the location to the amenities. Really spacious apartment with both bedrooms being upstairs. Great facilities in the apartment and secure parking made our stay really enjoyable. Would definitely stay again. Saucepans had wobbly handles, only one shelf in the oven, no jug or whisk just minor issues. Soul less accommodation. No character....pretty depressing. No christmas feel either. I think two keys would be a lot more convenient than just one. Bulb not working in hallway on arrival. Unknown people pressing our buzzer to our apartment to try and gain entry from 6am on a Sunday morning! 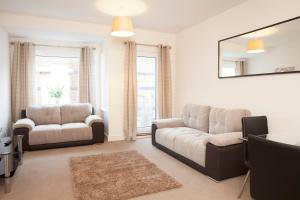 Great location and very spacious and well equipped and nicely furnished. We felt that the apartments are in need of an update. The furniture and carpets and curtains are all in need of changing and there was black mould round the bath. Lights did not work. We felt it was not 4 star. Alarm went off for the building at 12.15am,apparently was set off from apartment no 3.Key holder did turn up but the occupants of he flat did not answer or come downstairs.A bit worriying and frustrating for those of us who did congregate downstairs.